British beauty brand Aurelia has become a pioneer when it comes to probiotic skincare. Indeed, it has won numerous awards with its products that protect against polluted air and stress and activate the body’s ability to self-heal. 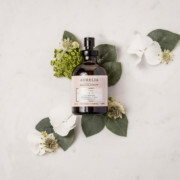 Its comprehensive range and sophisticated formula for the face and body is produced using organic ingredients based on sustainable, ethical standards and without being tested on animals. Outer space – more than just a never-ending expanse, it’s also where 111Skin has its origins. When looking for something that would stimulate the skin’s self-healing powers, cosmetic surgeon Dr Yannis Alexandrides came across an emulsion that prevents premature ageing of the skin in space. He had a serum developed from this astronaut’s cosmetic product and the result delighted his patients. A facial skincare line followed, offering a hydrating, anti-wrinkle effect. It’s not often that you find make-up that impresses with intense pigment and long durability while also being made from natural ingredients. Normally, other brands would end up using chemicals to achieve results like this. Make-up artist Christina Roth, however, refused to be satisfied with the status quo. 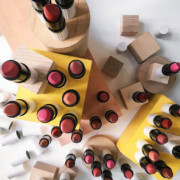 The transparent powder, eyeliner and lipsticks from her label ‘Und Gretel’ contain exclusively natural ingredients and leave an outstanding impression with a functionalist flair. Your conscience will be able to rest easy. 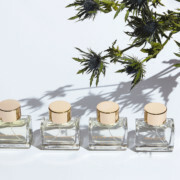 Native berries, herbs and plants – the Björk & Berries label for perfume and skincare harnesses the power of nature for its products. Beauty formulas from centuries gone by are brought back to life in five lines, from ‘Dark Rain’ to ‘White Forest’, adding a contemporary touch and applying advanced technologies. The healing power of birch plays a central role and the Swedish connection to nature can also be seen in the environmentally friendly packaging.